Your home is an investment – but it represents more than a dollar value. It’s a source of pride, and it’s a space where you should feel comfortable and at ease. Aqua Fresh Cleaning appreciates how important your home is to you, and we’re proud to do our part to secure its immediate and long-term value through our residential house washing Sunshine Coast. It’s true; most of the time all your external paintwork really needs is a good clean to reveal its original colour and beauty. Time after time our clients cannot believe the difference our exterior house washing makes to the appearance of their homes, particularly if they are cladded. Aqua Fresh Cleaning uses a solution that is unique to your home’s requirements. When executing a house wash, Aqua Fresh focuses on the areas that matter! Gutter externals, down pipes, fascias, eaves, window surrounds, and screens all suffer the dreaded cobwebs, and mud wasps nests; for those who live in a leafy suburb, those beautiful trees will discolour everything within 40 metres of their surroundings. For these drawbacks, consider how our controlled pressure cleaning solution can restore the original look of your home. Because houses are made from a variety of products and finishes, Aqua Fresh Cleaning provide a variety of house washing services such as pressure washing brick, rendered, or concrete homes. Other types of homes such as timber, weatherboard, cladding, and panel homes require a softer approach and often a combination of high pressure, soft wash and pure water system is required to truly clean and detail your home. We know your home is your largest investment… and we want to preserve that investment. That’s why our team only uses soft washing to clean your exterior when required. 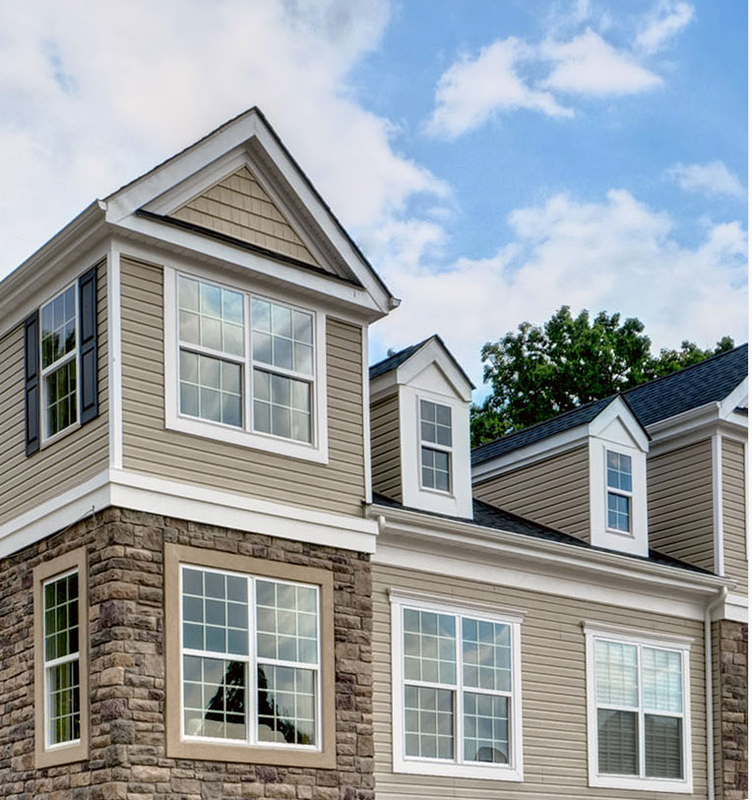 This approach uses low water pressures and cleaning detergents to remove buildup, eliminate stains, and restore your siding to its original lustre. The gentle approach is safe to use on any surface – vinyl, brick, stucco, stone, wood, and more and will have a secure and effective solution. We use a low-pressure cleaning method when washing the exterior of your home called soft washing to ensure there is no damage to the surface. We make sure that we use the right pressure and clean at the proper distances to achieve the best results possible. In our opinion, as well as most professional companies in the industry, you’re going to clean a driveway with a much higher pressure than the outside of your home. Exterior surfaces of your home get exposed to sunlight, rain, wind and much more as well as those unsightly byproducts of today’s world such as car and jet exhaust. Your home’s exterior collects these pollutants, and they take their toll on your home’s exterior over time. If not taken care of they can destroy the beauty and reduce the value of your property. We’ve seen the results from the friendly neighbour with a pressure washer or the homeowner that went out and rented their equipment to clean it themselves. The misuse or excessive pressure can cause significant damage to any exterior finish such as paint, vinyl siding or weatherboard. Since we use low-pressure methods when cleaning the exterior surfaces of your home, we eliminate the risk of permanent damage. When getting your house washing done, it may be the perfect time to consider other add-on services we offer, such as roof cleaning, driveway cleaning, patio or pool deck cleaning. We have customised pricing that will save you money when booking other services to compliment the house washing procedure. 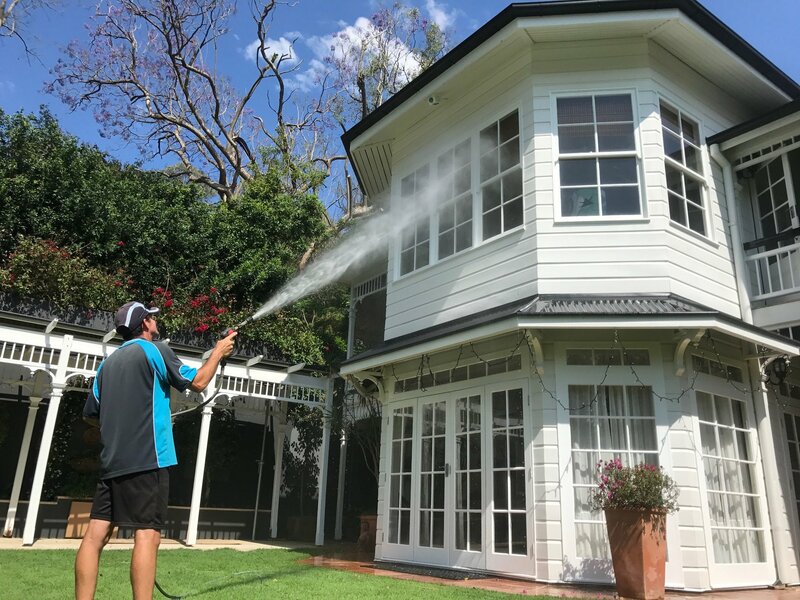 A unique, environmentally safe chemical solution is lightly sprayed on your home’s exterior which eliminates culprits like mould, mildew and algae, all of which hurt the exterior of your home and surface. We also offer the use of state of the art hot water pressure washing equipment. Aqua Fresh Cleaning has trained technicians to provide you with excellent quality and service to your complete satisfaction. Some of the types of exterior surfaces we often encounter are listed below. For House washing Sunshine Coast. Keeping a clean home is a time-consuming process. Algae, moss and other organisms can accumulate on your siding, giving it a dirty and worn appearance. But the professionals at Aqua Fresh Cleaning specialise in making your home look new again – all through our comprehensive and proven house washing services. Too often, homeowners hire unqualified contractors that end up doing more damage than good. Inadequate equipment and unsatisfactory training leave your home looking just as unsightly as before. Selecting the wrong types of detergents and fungicides can easily result in continual bacteria growth for years. The whole situation becomes a frustrating process and a waste of your time and money. At Aqua Fresh Cleaning we’re different when it comes to house washing services. Your satisfaction is our number one priority, no matter the size or scope of the job. Our commitment to excellence sets us apart from the competition each time. Call Aqua Fresh Cleaning Services on 0434 126 852 for a free quote and schedule your local high-pressure house wash today! We would love to help you any way possible or answer any questions you may have regarding the services we offer. Dirt, grime and other contaminants are harmful and can cause premature deterioration to your paint. A professional exterior house wash removes these harmful contaminants and helps improve the lifespan of your paint. On countless occasions, we have seen the incredible difference an exterior house wash can make to the sale of the property. We work side-by-side with you, and your agent to help you achieve top market value. Rest assured our house washing service will not damage your property’s exterior surfaces. We use the ‘soft wash’ method; a non-abrasive procedure which is tough on dirt and gentle on your home. External House Washing make your paint appear two to three shades brighter. The original appeal of your home will be restored in an instance.